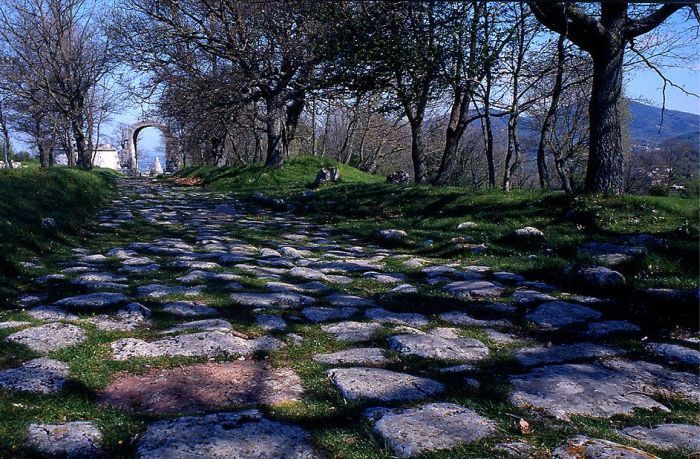 Carsulae, an ancient Roman town erected along the course of the Flaminia Road, was abbandoned long ago because of serious landslides which had rendered it necessary to move the seat of this important consular road. 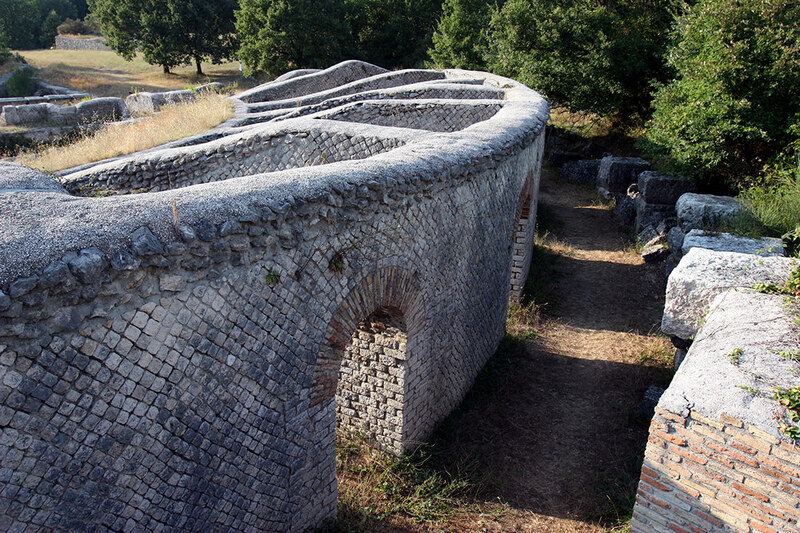 Not all of this interesting archeological area which is situated between Terni and Sangemini has been brought to light. 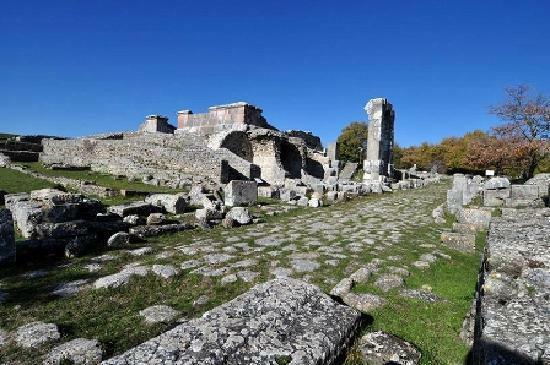 However, the Forum area with the ruins of the basilica and of the Twin Temples, the Theater and the Amphitheater, both of which are quite well-preserved, are visible; also the very beautiful arch of St. Damian, and further on, very interesting sepulchral monuments. 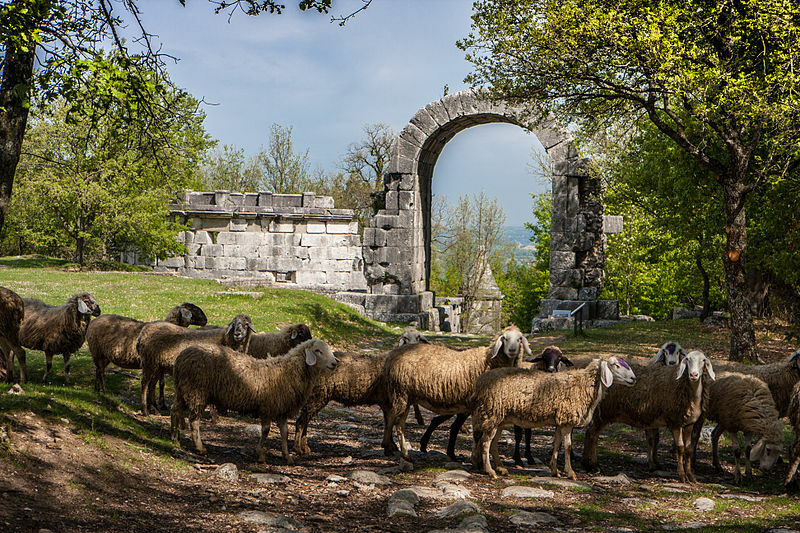 Right next to the Forum the beautiful medieval church of St. Damian was built by using the archeological materials found within this area.